The Midi-Pyrénées is the largest region in metropolitan France. 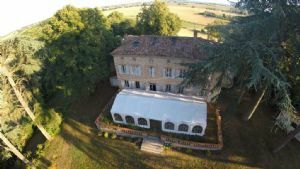 Historically, it is a complex mix of territories which were finally lumped together in the late 20th century, in order to create a region of influence for Toulouse (Toulouse Property Guide). This accounts for the diversity which is part of its appeal to property seekers. From the cosmopolitan city of Toulouse to the most remote corner of the Pyrénéan Mountains, Midi-Pyrénées has something for everybody. The Midi-Pyrénées region has a vast choice of farms and country properties. Agriculture is its main activity, and there are some 60,000 working farms. Plenty more landed properties and old farms are now used as private residences, and these frequently come on to the market. The weather in the region varies with the terrain. Toulouse, for example, experiences very high temperatures in summer, and is quite mild in winter. Parts of the Ariège, however, and the other mountain areas receive a heavy snowfall in winter. The Midi-Pyrénées is a sportsman's paradise, having some very good ski resorts (Ski property). So if you are a ski fan, why not check it out? It's quieter than the Alps, and every bit as beautiful. The mountains are also good for walking, and there are cycling routes that vary from easy, rolling along the towpaths of canals, to the testing climbs undertaken in the Tour de France (Cycling and motorcycling in France). And, many beautiful lakes and rivers provide opportunities for fishing, sailing and swimming. 2018 is also the year to invest in property in France! Many sellers have recently reduced prices to fall in line with the global economic climate, or have priced their homes realistically. So, there are lots of bargains to be found. We've lined up some cheap properties here so you can see just what we mean. 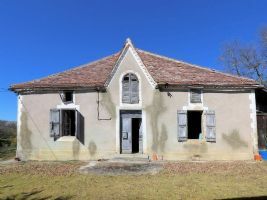 A large gascon farmhouse with plenty of original features requiring substantial renovation. The house sits on 4350m² of land with some woods. 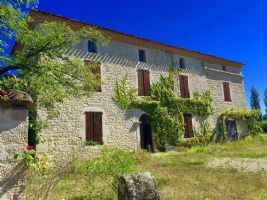 Completely restored stone house in village setting close to facilities but with open countryside nearby. The open plan living area and kitchen (37,5m2) has all modern facilities while retaining the charm of exposed stone walls and beams. This room opens onto a 25m2 balcony with stairs down to a walled garden complete with well. A bedroom and a WC complete the rooms on this floor. Souillac Golf and Country Club is a development of ‘Swiss Style’ chalets deployed around an 18 -hole golf course in the Dordogne valley. The chalets are grouped in clusters of typically 10 or more houses at different locations around the golf course with each cluster having its own swimming pool. Lovely villa on 3 levels, offering 4 bedrooms, 2 bathrooms, large living area, fitted kitchen, garages, beautiful view of the Pyrénées. This is a very well looked after house with a cosy feel. Near Saint Antonin Noble Val. Only 200 meter from a dynamic village with amenities. Housing of more than 300 m² on a 28 000 m² land. 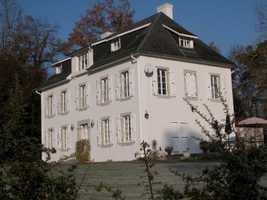 The house is 200 m², entirely renovated in 1991. 4 large bedrooms, 1 bathroom en suite, shower room. Possibility to convert the second floor of 85 m² into 3 bedrooms. The roof is new. Two halls of 85 m² to host. Dovecote 15 m². 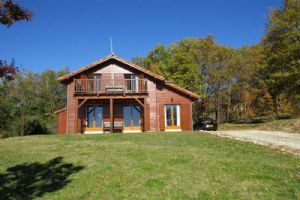 Old farmhouse totally renovated offering 370m² habitabble ( 3 appartment or gîtes) with garage,10 x 5 m pool on 9185m² of land.Amazing view of the Pyrénées. A recently restored elegant home set in established wooded parkland with a pool and comfortable independent guest apartment. 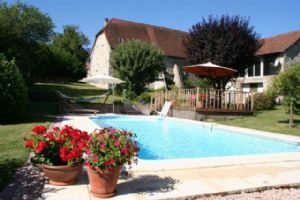 The property has enjoyed a harmonious and thorough renovation and can easily be run as a fine chambre d'hote with attached gite. 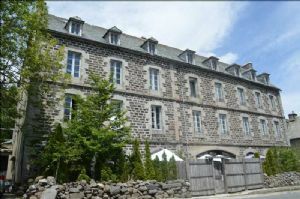 Set in the heart of the Aubrac and in the centre of a village, you will find this large and proud property in granite with 36 windows on its facade. On the ground floor you will find a 31m x 4m terrace, kitchen and dining area of 50m2, a luminous 64m2 lounge with bay windows and also a second lounge also 64m2 with a fireplace. On the first floor there are 6 bedrooms, 6 bathrooms, a private 100m2 terrace and a 1000m2 garden. 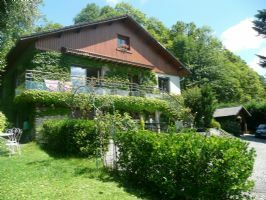 Between Verfeil and Lavaur, in a quiet area with a beautiful view on the surrounding areas, you will find this master house with 00 m² of living area (2 renovated properties). Including 14 rooms, 10 bedrooms, bathroom, 4 shower rooms. Several outbuildings to renovate. Park: 1.14 hectares, planted with trees. Swimming pool 10x5 and pool house. To view! 25 Min from Toulouse. 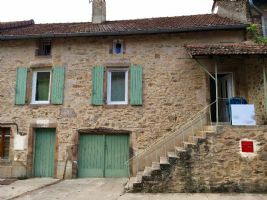 3 chambres d'hotes and an independant gite. Is actually running as a gite / chambres d'hotes. Charming.